Little, Brown and Company, 9780316454223, 480pp. James Patterson's strongest team since the Women's Murder Club are the first responders when their seafront town is targeted by vicious criminals. The Inn at Gloucester stands alone on the rocky shoreline. 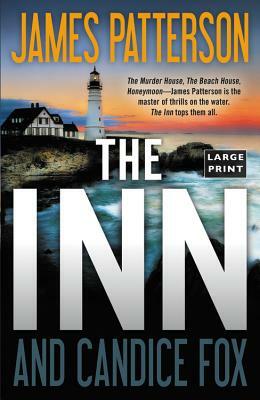 Its seclusion suits former Boston police detective Bill Robinson, novice owner and innkeeper. As long as the dozen residents pay their rent, Robinson doesn't ask any questions. Neither does Sheriff Clayton Spears, who lives on the second floor. Then Mitchell Cline arrives, with a deadly new way of doing business. His crew of local killers break laws, deal drugs, and bring violence to the doors of the Inn. That's when Robinson realizes, with the help of journalist Susan Solie, that leaving the city is no escape from the reality of evil -- or the responsibility for action. Teaming up with Sheriff Spears and two fearless residents -- Army veteran Nick Jones and groundskeeper Effie Johnson -- Robinson begins a risky defense. The solitary inhabitants of the Inn will have to learn, before time runs out, that their only choice is between standing together -- or dying alone.